Alissa Hallberg, Uncommon Focus (2003). 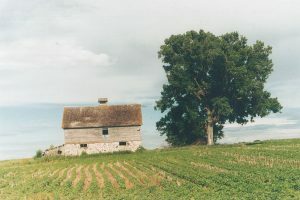 Uncommon Focus was a project that was carried out through 2003, with the purpose of photographing sites and buildings around Morrison County considered uncommon. “What is “uncommon”? Well, we have quite a number of photos in our museum collections (…) but there aren’t many shots of the backs or sides of these buildings. We also don’t have many views of interiors or architectural designs” (Morrison County Historical Society Newsletter, Winter 2003). Volunteers, or Special Agents, were also allowed to photograph anything else they might have found historically significant. The initial goal was to collect 1,000 photographs, but our Special Agents doubled that by the end of the project. Now the best of those thousands of photos are finally online for viewing, both on our website as well as our flickr page. The photos on Flickr are separated into albums by volunteer names. For our site, we have separated photos by subject matter, listing volunteers by photo.